Caught in season and processed at a local state-of-the-art facility to ensure premium quality and freshness year round. Easy to prepare. Can be baked, broiled, grilled, sautéed, or fried. 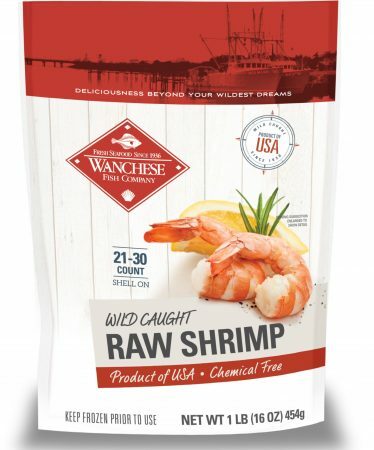 Thaw overnight in refrigerator or for faster thawing remove shrimp from the package and soak in cold water for 10 minutes. Rinse and keep refrigerated until ready to prepare. Use within 3 days of thawing. Do not refreeze after thawing. Bake, broil, grill, sauté or fry to an internal temperature of 145°f or until the shrimp is opaque with a pearly pink color and bright red tail.